Colour printer and A4 white paper to print sheet music. This music stand is a copy of colonial cedar music stand made in New South Wales, Australia in 1850 (shown above). 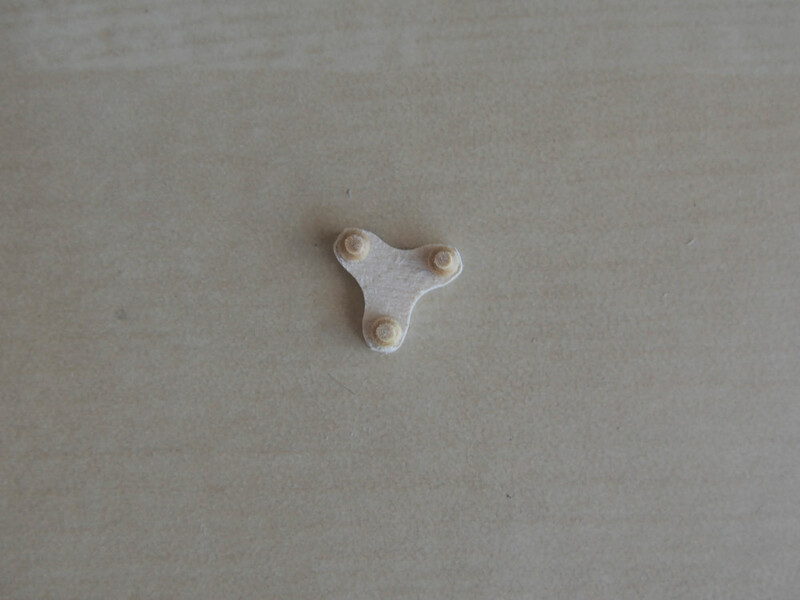 One piece of 3mm thick wood (45mm x 3mm). 2. 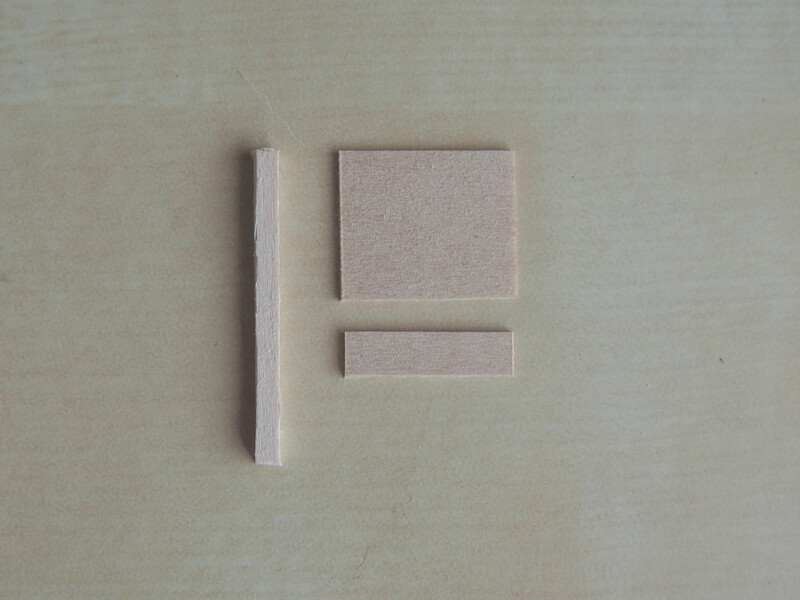 Shape the pieces for the stand using a craft bade and sandpaper (pictured above right). 3. Now you must make the base. 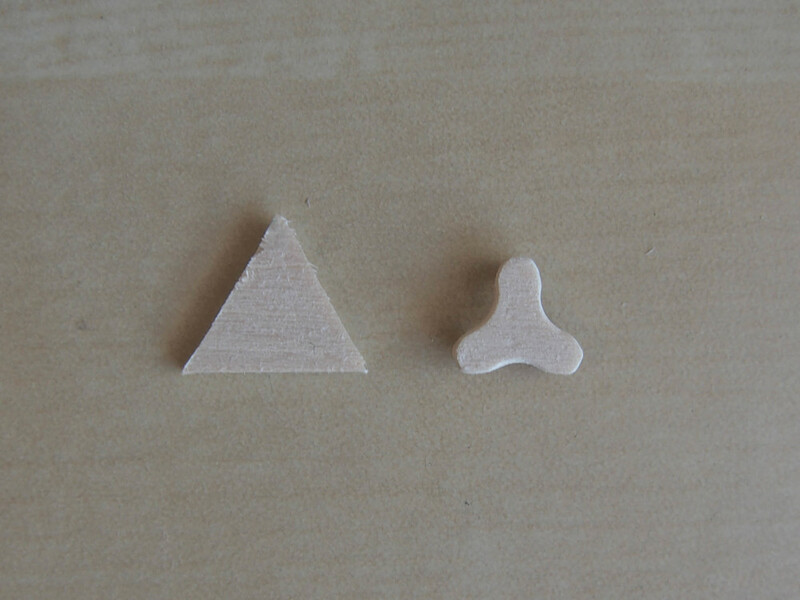 Cut a triangle in 3mm thick wood which is 15mm on each side. Then shape the base as shown above left. 4. Glue small feet to the base as shown above right. 5. Download the above sheet music. If you have Illustrator or Photoshop on your computer or an equivalent program, re-scale the image so that when printed it measures 12mm in height. Print it in colour, and place it on your stand. Then you are finished!